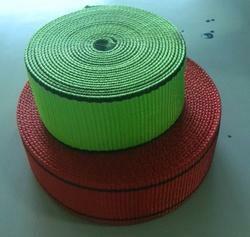 Pioneers in the industry, we offer woven safety belt from India. Our firm ensures to meet the assorted requirements of honorable patrons, by delivering a supreme range of Woven Safety Belt. The offered range of paper carrier ropes is designed using high grade material and advanced material, by our apt personnel, who ensure to adhere it with the international quality norms and standards.